READFIELD -Robert Lewis Lucas, Sr., 65, died Monday, Jan. 14, 2019. 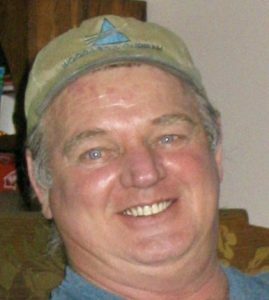 READFIELD -Robert Lewis Lucas, Sr., 65, died Monday, Jan. 14, 2019, at his home after a long struggle with cancer that he faced with dignity, courage, and grace. Born on April 22, 1953, Robert grew up in Readfield where he embraced life to the fullest through his love for the outdoors and his devoted family. A self-employed professional woodsman, logger, and general contractor, Robert had a mind for problem solving with a high dose of common sense which served him well and gained him respect from anyone who knew him. Robert never encountered a challenge he couldn’t conquer, whether operating or repairing a truck, skidder, chainsaw, or designing and building one of many homes for himself or others. Throughout his life, Robert always had an ambitious project underway from most recently sawing out lumber to build a new barn, to clearing a field to improve his hunting odds and enhancing his beloved views of the western Maine mountains. But he most enjoyed spending time with his loving family, especially around the holidays or when camping on Aziscohos Lake, or camping anywhere for that matter. His enthusiasm for camping, hunting and fishing were infectious, and Robert treasured these times while passing down many of his skills to family and friends. Somehow, he always seemed to catch the most fish! Above all else, Robert always bore an approachable and humble personality, and was so proud of the many accomplishments his son, daughter, and grandchildren have achieved. He will be deeply missed, but always remembered. Robert was predeceased by his parents, Philip Lewis Lucas, Sr. (1982) and Eleanor May Rose (2003); as well as two brothers, Philip Lewis Lucas, Jr. (2002) and Ernest Kent Lucas (2004). Robert is survived by his beloved wife, Inez, to whom he shared 47 years of marriage; son Robert “Buster” Lucas, Jr. and his wife Michelle of Readfield, daughter Florence Clauson and her husband Henry of Readfield; five wonderful grandchildren who brought so much joy to his life, Abigail, Karissa and Emily Lucas, and Thomas and Anna Clauson; seven siblings. Phyllis Farris and her husband Carl of China, Beverly Foss of Albion, Priscilla Young of Readfield, James Lucas, Sr. of Chelsea, Charlene Tims and her husband Allen of Readfield, Scott Lucas, Sr. of Readfield and Vivian Gaboury and her husband Joseph of Readfield; as well as numerous nieces and nephews. He is also survived by three sisters-in-law, Florence Woods of Jay, Grace Judd of Farmington, and Serena Robinson of Macomb Township, Mich. The family would like to offer their thanks and gratitude to Robert’s doctors and nurses at MaineGeneral Home Care and the Alfond Cancer Center for years of compassionate service. A special thank you to Dr. Mark Worthing and his staff at MaineGeneral Wound Healing & Hyperbaric Medicine. Visiting hours are on Tuesday, Jan. 22, from 6-8 p.m. at Plummer Funeral Home, 16 Pleasant St, Augusta, where a memorial service will be held Wednesday, Jan. 23, at 2 p.m. A graveside service and committal will be scheduled in the spring at the East Readfield Cemetery.